Jordan Brand has always had a propensity for hooking up its signature schools with a plethora of exclusive sneakers. 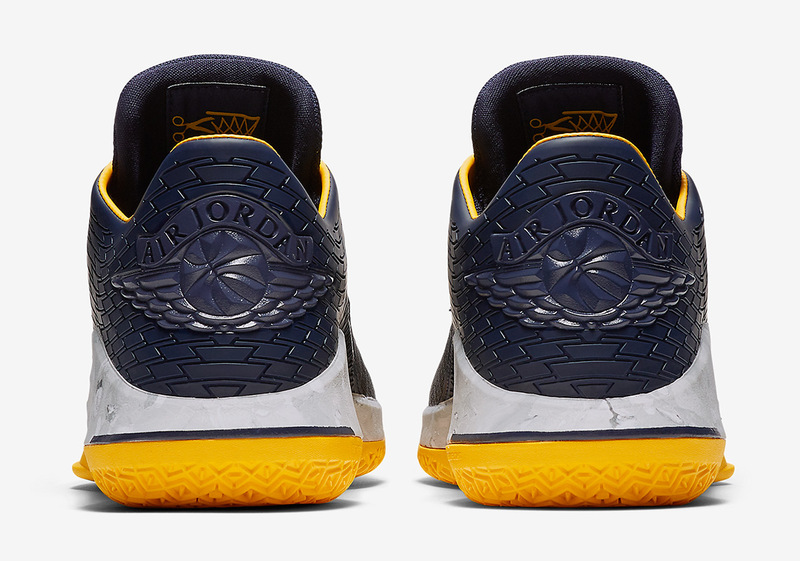 Now it appears that the Jumpman will be releasing an Air Jordan 32 Low inspired by the Michigan Wolverines. Adorned in navy blue and maize, this new look is dressed primarily in mesh and comes equipped with a unique looking grey midsole unit. For the most part, Jordan’s newest 32 Low is very similar to the PE version that was gifted to the team before the start if the season, but this pair is devoid of any “M” branding on its tongue. On the inside of its tongue, this special selection boasts a graphic that emulates a net being cut down – Nike and Jordan Brand’s official logo for all of their March Madness sneakers, as well as a nod to the team’s 1989 National Championship victory over Seton Hall. As of now there is no official release info for this Michigan-inspired Jordan 32, but expect a release sometime before the season is over, as well as other team-inspired iterations.